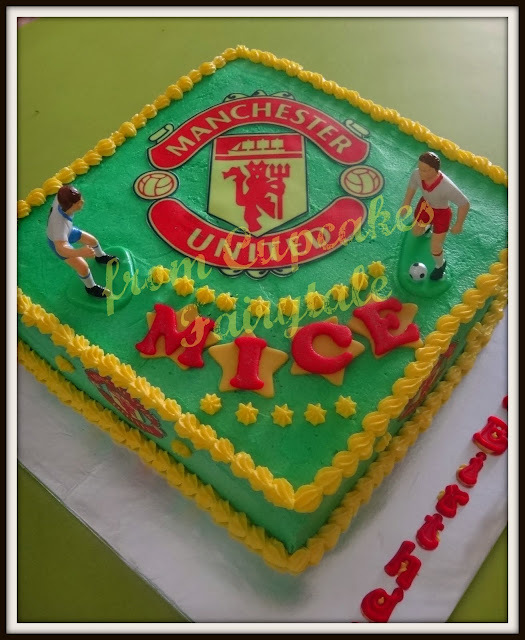 Rashida Chin, a long time friend during my part-time days in AIA Insurance , called to commissioned this Manchester United 'Rich Devil Chocolate Moist Cake' for her son's 14th birthday. 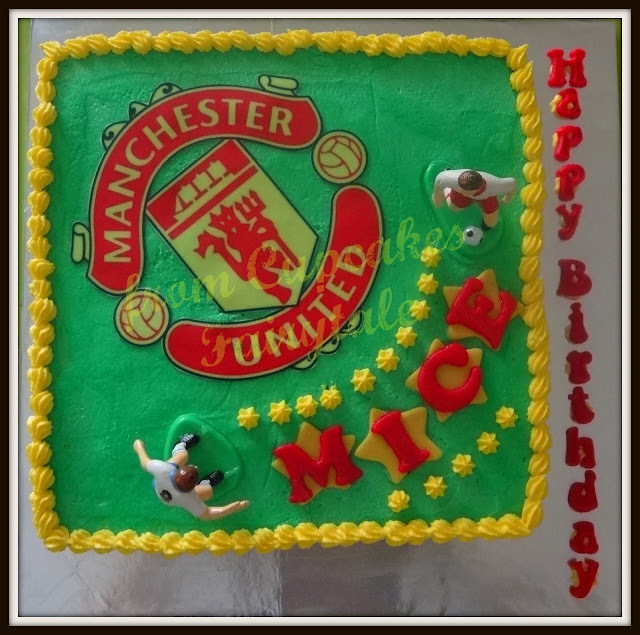 As mentioned by Rashida, Mice is a big fan of the MUFC and would love to have his birthday cake with that theme logo on it. HAPPY 14TH BIRTHDAY TO YOU, MICE!